The sizes of our funeral wreaths vary from 12 to 18 inches, but have and can always create larger wreaths. Otherwise, other tributes are always also available and we do recommend calling us just in case you need further information. Flower Station specialises in designing beautiful fresh flower wreaths. Our huge portfolio of international florists is ready to take care of any style of an arrangement and we always make sure they work with a widest array of flowers that makes sure we are always capable of producing an arrangement that one of our customers may need, no matter how difficult the need is. This especially helps us with last minute requests and we are very well known to provide bespoke and grandiose arrangements on the same day that they were ordered on, without ever changing the price of it. 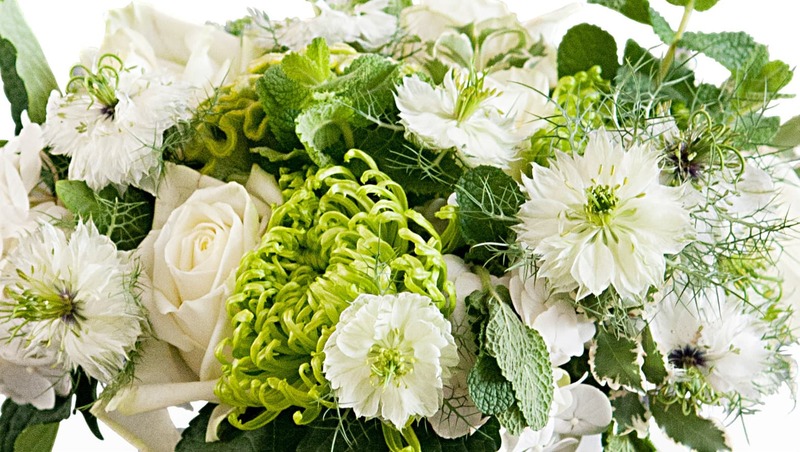 We are also very well connected with many funeral parlours in London and are a florist of choice for quite a few of these. We recommend that our customers call us in any case they want to personalise their order and have a design in mind that is not shown in our portfolio – it would only be our pleasure to do so. Flower Station also operates a seven day a week operation that does not close at any time. You can choose to call us whenever you want and you will find us on the phone at any time of the day or night. With funeral flowers we understand the importance of this and have also introduced a free delivery on a Sunday. Our policy is to always be a day early with funeral deliveries, but of course and at the end of the day, we will always adjust ourselves to the needs of our customer. No time is too late, or too early. For any bigger funeral wreaths, or ones that may require quite different styles and flowers we recommend calling us on 020 7724 7525. You will always find one of our expert florists ready to help and advise on the best choices and ways of delivering your product exactly, or as close, as you may want it. Alternatively you can also email and we will endeavour to return your query the same, or the next day at the very least. Sometimes, working with a photo or a simple drawing is enough, especially is there is a prior or an ongoing discussion along with the photograph. Flower Station is always committed to providing service that’s second to none and we will always promise to go above and beyond for our customers. We receive fresh flower deliveries on a daily basis and with a fleet of over 15 vehicles based in and around London we are best placed to get the flowers to you on time and as specified. Moreover, our florists and our drivers are all professionally trained and will always know how to handle your goods prior, during or after they have been designed.